The Monet the Mouse & Hugo the Hedgehog kit comes complete with all of the elements to stitch and construct the book and bag to place it in. The book and bag Designs have all been pre printed onto the fabric to make it easy to commence stitching straight away. 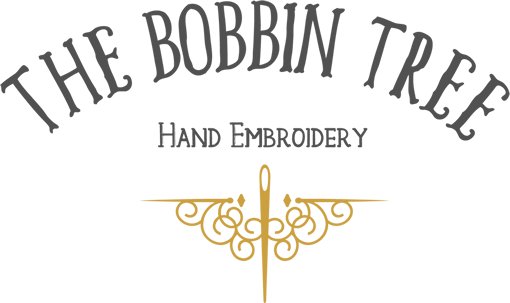 Kit contents include fabric (as per the fabric pack listed below) threads, interfacing, stabilizer, needles, instructions, beads and embellishments – everything to stitch & construct one complete cloth book and bag. 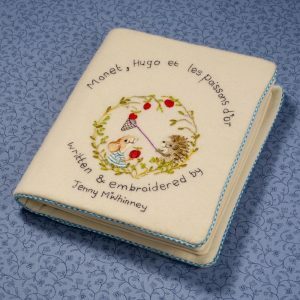 The Fabric Pack is also available as a separate item and it includes all of the pre-printed fabric to embroider and construct the book and the bag. In addition to the fabric for the bag back and handles the pack includes the pre printed fabric for the bag front, all pages in the book (wording & illustrations) and the front & back cover (Doctor’s Flannel). Please note the fabric pack does not include instructions, threads or embellishments – it is fabric only.